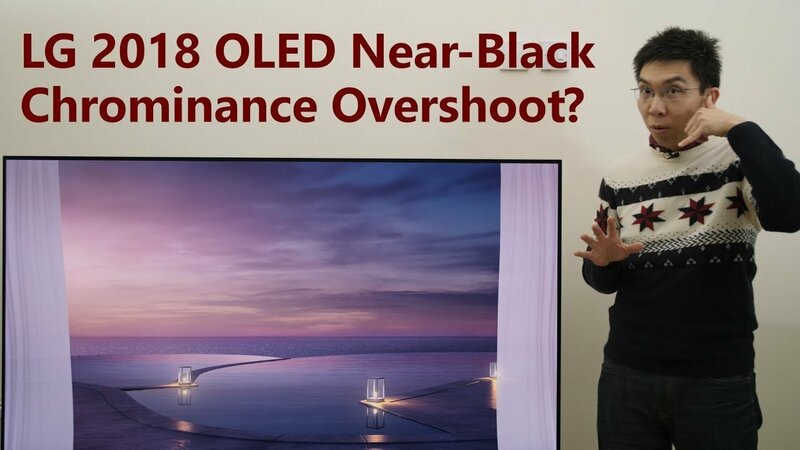 LG is planning to roll out a major firmware upgrade for its OLED TVs next month that should remedy a couple of critical picture quality problems that have been the subject of numerous complaints. Writing in Forbes, consumer technology expert John Archer said he’d seen the new firmware upgrade firsthand, confirming that it “hugely reduces” the impact of the issues. One of the reported problems with LG’s OLED TVs is an odd flashing effect that occurs when near-black content is displayed, particularly when it’s fading into, or out of, black. The second issue relates to “exaggerated noise” during very dark scenes, and is most apparent in streamed content, Archer said. HDTVTest's chief reviewer Vincent Teoh analysed the two problems in-depth shortly after they were first reported, pointing out the typical conditions under which they tend to occur (see video below). He noted that not every user would experience the issues, as some OLED panels have a higher brightness threshold that eliminates them. Ambient lighting conditions could also impact whether or not the issues appeared, he said. Archer said that there were initally some concerns the issue could be due to a hardware flaw, and if so that would have been a major headache for LG as there’s no easy way to fix such problems. Fortunately that proved not to be the case, as LG was able to counter the issues by adjusting the near black management function of its picture processing engine. Archer said he’d seen the firmware upgrade applied to both 55-inch and 65-inch LG OLEDs, and that both issues now appear to be fixed. Archer said that the noise problem hasn’t completely gone away, but that the fix is good enough that viewers should hardly ever notice it anymore. That’s all well and good for LG TV owners, but OLED TVs made by other brands such as Sony and Philips will have to wait a while longer for a fix. That’s because LG’s solution was designed specifically for its own processing software. Other brands use their own software and so they’ll have to develop their own fixes, Archer said. Sony has said its working on a solution and will roll out a fix soon. It’s not clear yet when other brands will attend to the issue. LG has almost finalised its firmware upgrade, and Archer said we can expect it to make the fix available on its C8, E8, W8 and G8 models by early April at the latest. Europe and the US will be the first regions to receive the fix, he added. Owners of LG’s older B8 OLED TVs will have to wait a little longer however, as the company has prioritised the firmware upgrade for TVs using its Alpha 9 processor. However, Archer said the update for the Alpha 7 chip is almost complete and should also be released soon. LG said that the issues have already been fixed on its upcoming 2019 OLED TV range, which is set to launch in the UK next month.